However old lady and outdated it may sound, I have just been really into quilt design lately. They are beautiful y’all. There is something so comforting about a quilt. It says home and family to me. I don’t want to learn how to make a quilt. I just want to enjoy them. I am not planning on making any. I just want to enjoy them. But my work right now is heavily influenced by quilts. There might be in the next Repeat book a whole section on quilt patterns. 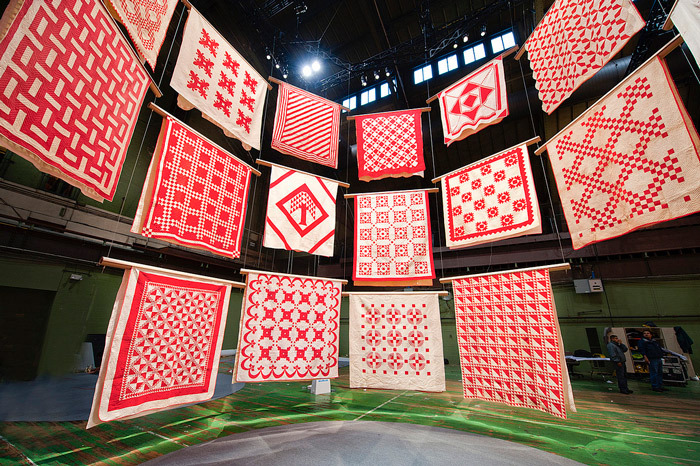 If you are New York City or are traveling to New York City, the American Folk Art Museum is having a FREE show “Infinite Variety” of SIX HUNDERED & FIFTY red and white quilts at the Park Avenue Amory. It starts TODAY and ends the on the 30th. If you go see it, please let me know. I want to know all about it. I wish I was going to be there to see it. 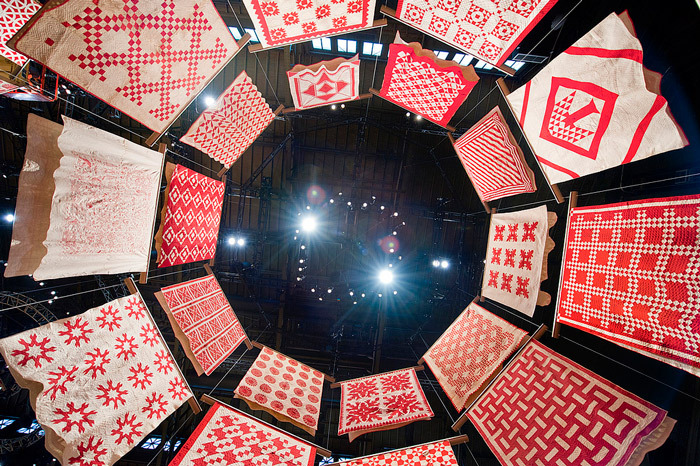 Photos shown are from the American Folk Art Museum’s flickr. Wow, I would love to go there! I have only made a couple quilts, but it is my favorite new thing. There’s something so comforting about the patterns–but with the endless color possibilities, it’s exciting too. I love your quilt-inspired ideas!